I have watched as Bee's Knees Lacquer launched and grew and more recently, the brand is taking off in popularity. My first order from them was in October and one of the polishes I bought was their October Cancer charity polish. I love that they do a charity each month, you should see the November polish! The name label has in caps FU (a pink sideways ribbon, that implies the other two letters really well) Cancer. And just look at the cute bee trail detail! These first three photos are shown under my usual light set up, with my usual poses. 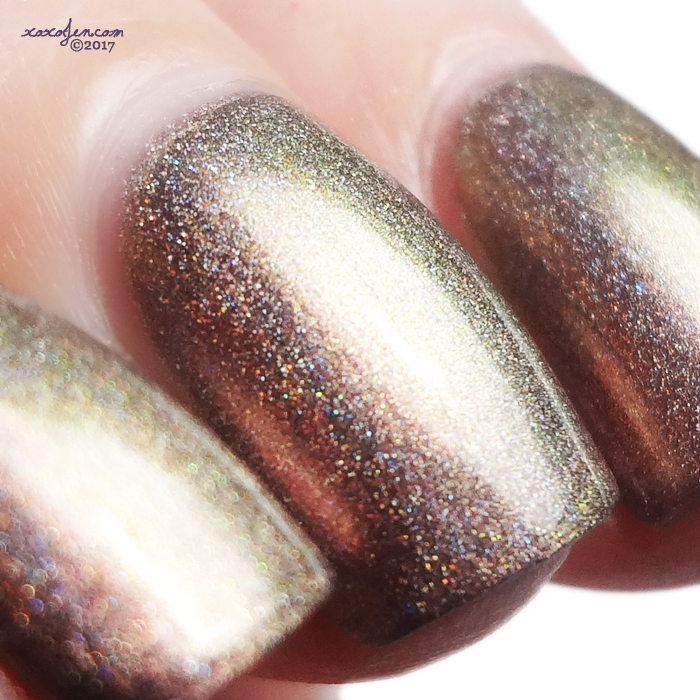 Here, the polish looks like a beautiful coppery, mauve, brown shade with strong holo. However; when held at different angles and different distances from the light, it's super multichromatic! Just look at it shift! Golden, green, mauve, coppery, brown, pinkish!? 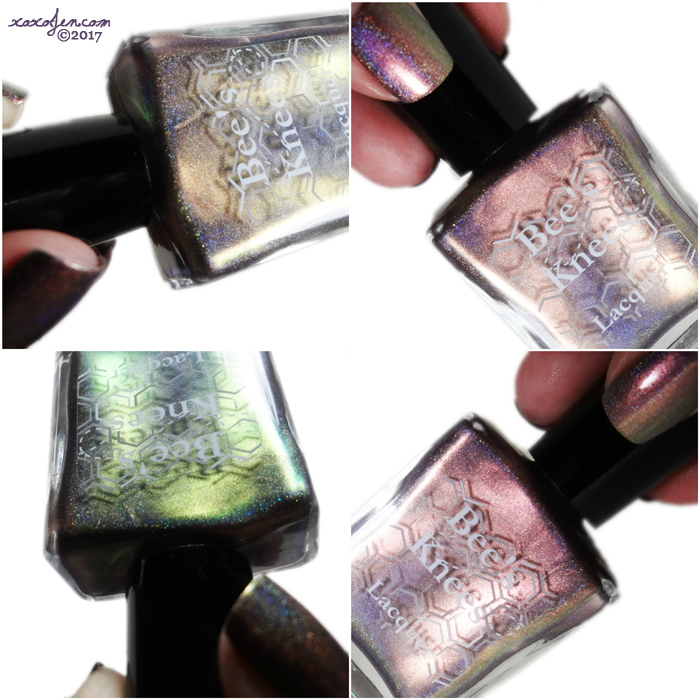 It is a stunning one coat wonder, super holo, dream to apply. The brush - yes the brush is a big deal. It is super soft, and that's how I like them! I really want to try stamping with it at some point, I think it will be perfect for that too. Are you convinced to check out this brand yet? No? Perhaps a few minutes in the fan group would help! There are beautiful swatches there and Owners Sarah and Tim are active and caring. Go now - you'll be glad you did! The color is pretty awesome.